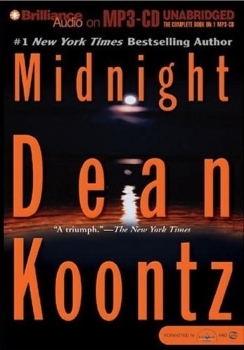 I've never read anything by Dean Koontz before so I wasn't really sure what to expect when I purchased this audiobook. Murder, monsters, mayhem---well, that's right up my alley, I'd thought. Unfortunately for Koontz, my first impression left me with the shivers (and not the good kind). My qualms lie more with Koontz's writing style than with the plot which is a shame because this is a story with some serious potential. As far as the concept goes, I thought it was pretty fantastic. I thought the creatures' lack of empathy to be quite chilling. But I had a hard time connecting with most of the characters save for Harry (the disabled war veteran) and Moose (his dog). Generally, I thought the writing was repetitive and the story, dated. There's an abundance of archaic technological and historical references which really showed the book's age. Little did I realize Midnight was published in 1989. Koontz also has a tendency to repeat the same minute details over and over and over again, causing no shortage of frustration on my end. Midnight started off with a bang and the ending had a lot promise, but alas, all the build-up was for naught. Like the rest of the book, it lacked the real scare-factor that I was looking for. J. Charles was a decent reader and the audio production itself was well done. Overall, I could see this story being adapted for TV and, in the right hands (here's to looking at you Guillermo del Toro! ), I think it could be brilliant. Generally speaking, I'm a fan of Dan Brown's work, particularly the Robert Langdon Series. Sure, Brown's books are predictable. Yes, they're a tad formulaic, however, for me, it's a formula that works so I can overlook all that. I loved the first two books in this series; however, because I was let down by the third, I picked up Inferno bearing some caution. Though it didn't quite live up to Angels & Demons or The DaVinci Code, overall, I found it to be more enjoyable than The Lost Symbol. Before you go and pick up this book, there's one thing you should know: it's heavy on the history and lacking in action. But if you're like me and enjoy historical fiction, it shouldn't really be a problem. 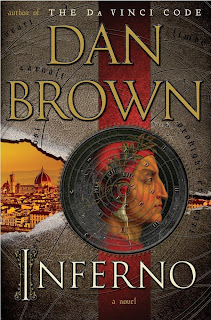 Though it can sometimes read like a giant info dump, Inferno touches on several subjects of interest: Dante Alighieri, the literary masterpiece Inferno, Florence and overpopulation. What? Yes. Overpopulation. I know it sounds a bit out of place but the relevancy behind it is both effective and befitting. In other words, Brown makes it work and in doing so, raises some chilling questions. You don't really need to read the other books in the series to be able to follow Inferno, although, some familiar patterns become apparent (i.e. - the supposed good guy who ends up being bad). I did like how Brown structured this book differently than the others, using Langdon's amnesia as a means by which to tell the story. It was unexpected and a nice twist. As a reader, I really liked Paul Michael's performance and would happily listen to him narrate again. 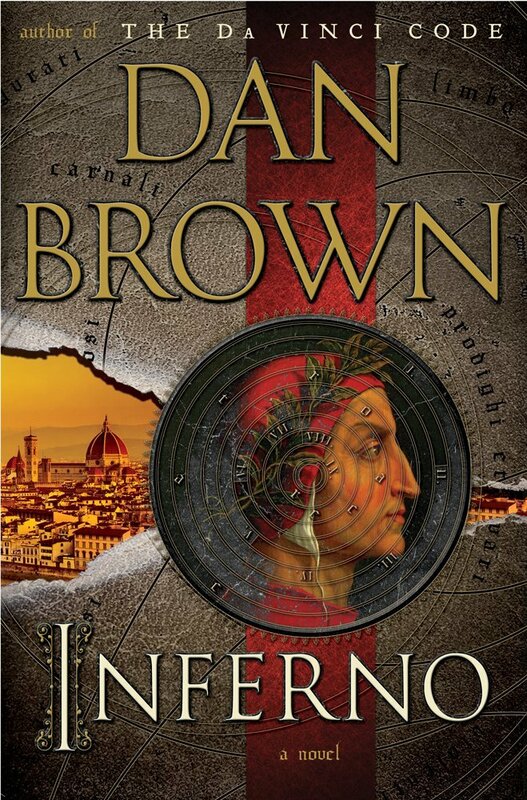 Inferno was a likeable book, though I'd hardly rank it as one of Brown's best works to date. If you enjoy books heavy on history or like books dealing with this subject matter, I recommend it. Inferno definitely felt different than the others; the amnesia gives it a much-needed departure from the usual formula (not that it still isn't formulaic, but finally the structure isn't quite as stale). I think it was mainly the info dumps that kept me from liking it more than I did, but it's definitely a step up from The Lost Symbol.